In Part I and Part II of this essay, I laid out a lot of evidence drawn from Chinese sources from the 4th to the 8th century. Most of the evidence is complicated in that it can be interpreted different ways. The received tradition has relied on presenting a partial picture and a single monolithic reading that sustains the status quo of the Buddhist establishment. Having an esoteric text that can only be understood by masters is a way to engage in what has recently been called "charismatic signalling". Masters display their mastery by commenting on the ineffable as embodied by the Heart Sutra. "Effing the ineffable" as David Chapman has memorably phrased it. The master signals that they have a shaman-like ability to cross the boundaries into the other world and bring back knowledge. The status quo was disrupted in 1992 by Jan Nattier when she proved that the Heart Sutra was composed in Chinese and the Prajñāpāramitāhṛdaya was a translation from the Chinese. Nattier has made an inestimable contribution to Buddhism Studies. However, her discovery has been met with ambivalence and rather late, grudging acknowledgement from Western academics and open hostility from some Japanese (who are typically also clergymen). Given the evidence of the bibliographers and early commentators, there are at least three different narratives that we must now consider: 1) the already discredited received tradition of the Heart Sutra in which Xuanzang translates a text he is given in Sichuan; 2) a version of events in which the Xīnjīng is identified with the shénzhòu texts and is an anonymous digest text; and 3) a version in which the Xīnjīng is a standalone digest text. The question of the Sanskrit text is secondary to this, since it is a translation of the Xīnjīng. My paper putting this beyond all doubt has been accepted by the Journal of the Oxford Centre for Buddhist Studies and will appear in November 2018. When we think about what was happening in China at the time and how Buddhist texts were being used, it becomes apparent that the Sanskrit text had a particular role in the history of the Heart Sutra and I will spell this out. We begin by reviewing the received tradition. The received tradition is that the Heart Sutra was composed in the 3rd or 4th Century, in Sanskrit, in India, and transmitted via the usual routes to China. It may have been in China by 374 CE, but was definitely translated by Kumārajīva (Damingzhoujing; T250) in the early 5th Century and then by Xuanzang (Xīnjīng; T251) in 649 CE. This is complicated by the story of Xuanzang receiving the text in Sichuan from a sick man before travelling to India in 629. Was that text in Chinese or Sanskrit? Each option is problematic. But the problems go very deep with this narrative. Jan Nattier (1992) has already shown, on the basis of internal evidence, that the Sanskrit text is a translation of the Chinese rather than vice versa. Publications by Matthew Orsborn (writing as Huifeng 2014) and myself (2017, 2018 forthcoming) have confirmed this by showing that the translator at times misread the Chinese text and chose the wrong Sanskrit words and phrases, and that the Sanskrit text contains a number of Chinese idioms that cannot have come from an Indian, Sanskrit-using milieu. Furthermore, in this three part essay, I have now shown that the Chinese bibliographies do not support this version of events either. Rather, they consistently see the text as having no translator and class it with other digest texts. The Heart Sutra perfectly fits the description of a digest text in that it cites a passage from Chapter 3 of the Dajing (T223) but also uses shorter pericopes from Chapters 19 and 33. The received tradition is also historically problematic in the way it portrays Xuanzang in relation to Taizong, Gaozong, and Wu Zetian. The historical evidence frequently contradicts the received tradition and makes it seem highly implausible. Clearly, this version of the history of the Heart Sutra does not stand even superficial scrutiny. It is surprising how little scrutiny it has received from scholars of Buddhism and how long it has survived as the official story. Many facts, such as the translation date, are cited uncritically even by scholars who should know better. In the second scenario, a digest text similar (or identical) to the Damingzhoujing was produced soon after Kumārajīva completed his Dajing translation (T223) in 404 CE, although there is no record of this until the Kaiyuan Catalogue of 730 CE. This text circulated, but was completely eclipsed by Xuanzang's translation when it appeared — the first and only time a translation by Xuanzang displaced one by Kumārajīva in the history of Chinese Buddhism. Though the Damingzhoujing exists, and is regarded as canonical, not a single commentary on it is preserved, nor is it mentioned in any other text until the 20th Century. This early version of the Heart Sutra went by a different name before the Tang Dynasty, i.e., (摩訶)般若波羅蜜神呪 (Móhē)bōrěbōluómì-shénzhòu. Even so, all the extant bibliographies up to the Tang recognise the text as lacking a translator, and most also class it as a digest text (抄經 chāojīng). As such the text was always recorded apart from authentic sutras. The problem with this scenario is that the shénzhòu texts appear in bibliographies stretching back to Dàoān's catalogue dated 374 CE, as recorded by Sēngyòu in 515 CE. The texts that we take to be the Heart Sutra date from before Kumārajīva's Dajing (T223); however, all the extant Heart Sutra texts cite it. If the Xīnjīng is, in fact, a continuation of the shénzhòu texts, then we have a fundamental contradiction and the scenario falls apart. If the Xīnjīng is not related to the shénzhòu texts then the shénzhò texts are irrelevant to the history of the Heart Sutra. Either way, this scenario is not viable. The final scenario is that the shénzhòu texts referred to in pre-Tang catalogues are not the Heart Sutra. The shénzhòu texts do, indeed, predate Kumārajīva's Dajing, but this is not problematic because they are not the Heart Sutra. Hundreds of digest texts (抄經) were produced in early medieval China. It would be more surprising if there were not more than one digest based on Prajñāpāramitā texts which were first translated in China in the 2nd and 3rd Centuries. In this scenario, the Xīnjīng is a completely new digest of Kumārajīva's Dajing, including a smattering of terms introduced by Xuanzang. As these terms were introduced by Xuanzang after his return from India, the Xīnjīng must have been created after 645 CE. Since the text is carved in stone in 661 CE, we have a maximum window of just 16 years in which it could have been redacted from Kumārajīva's Dajing. Given that it must have taken some time for the popularisation of these new translations, the window narrows towards the later date. The fly in the ointment is the Damingzhoujing which, by consensus, represents an earlier version by virtue of being closer to the original. However, it was clearly not redacted by Kumārajīva for the many reasons spelled out by Nattier (1992: 184-189). We can add that Kumārajīva was a foreigner and the elegance of his translations is almost entirely due to his working with talented Chinese assistants. The fact is that Kumārajīva is unlikely to have had sufficient command of written Chinese to make a digest sutra in that language, though some of his assistants may have. By the 7th Century, the manuscripts of the Large Sutra and commentary that Kumārajīva's translation group worked from in the 5th Century were unlikely to be extant. Hence the need to travel to India to get more manuscripts. As such, the date of the Damingzhoujing is in doubt. I will advance a new theory about this text below. Of these three narratives there is only one which is not immediately ruled out by the evidence from the bibliographies. In this view, the Xīnjīng is a relatively late, Chinese-language, digest sutra produced between 645 and 661. The Xīnjīng is easily recognised as a digest text if one is aware of the category and is scrutinising the text. I've shown how bibliographers from Sengyou (515 CE) onwards established the criteria for judging authenticity and consistently treated digest texts as inauthentic. Chief amongst the authenticity criteria were a connection to India and attribution to a named translator. This set the scene for making the Xīnjīng, a digest text, into a bone fide sutra. The transformation was achieved by attributing the "translation" of the text to the famous pilgrim and translator, Xuanzang. The first time we actually meet the Xīnjīng, in 661 CE, it is presented as a fully fledged sutra translated by him. Religieux and scholars alike have uncritically accepted the authenticity of the Heart Sutra based primarily on this association with Xuanzang. The rest of the information establishing the authenticity of the Heart Sutra dribbled out over quite a long period of time, but is also treated as authentic by scholars. After Xuanzang's death (664 CE), the sutra is officially ascribed to him by the bibliographer, Dàoxuān, in his Nèidiǎn Catalogue (664 CE). The story is elaborated twenty years later in the Biography (688 CE). It depicts a much closer bond to Taizong than seems plausible; and introduces important elements of the backstory such as receiving the text from a sick man and presenting Gaozong with a copy in 656 CE. There seems to be no reference to any of this in secular sources. However, note that all of these events take place during the time that Wu Zetian is either de facto or de jure ruler of China. Then, in 730, the Kāiyuán Catalogue adds the date of the translation. This date was not noted by either of the catalogues produced in 664, even though one of them was compiled specifically to include translations by Xuanzang. The Kāiyuán Catalogue also introduces us to the Damingzhoujing for the first time. The problem with relying on Xuanzang to legitimise the text is that his work is very well known. The fact that he does not mention the Heart Sutra or include it in with his Prajñāpāramitā translations is more significant than has been credited. To be credible, the attribution would require some sort of recognition from Xuanzang himself. Instead, he seems to be unaware of the text. The same goes for Kumārajīva and the Damingzhoujing. There are many reasons to be doubtful about these attributions, but the fact that two prolific authors themselves never mention a text they are supposed to have translated should ring alarm bells. Not including the Heart Sutra translation in T220 is effectively a denial by Xuanzang that he did translate it. We have also seen how the commentaries of Kuījī (ca 664-683) and Woncheuk (ca 664-696) played a role in legitimising the text by taking on its own terms. Kuījī appears to be writing sometime after the death of Xuanzang, since he quotes from T220, but makes no reference to a Sanskrit text. Woncheuk, writing at an unspecified period but possibly after Kuījī, does appear to have a Sanskrit text but does not translate it and does not treat it as wholly authoritative. Both men seem to be aware that they are commenting on a digest text extracted from the Dajing, though there remains some ambiguity to this. Since Kuījī was Xuanzang's successor, he would have had access to a Sanskrit text if one was available, hence it was probably produced after his commentary. When looking at the history of Buddhism we are frequently asked to believe that the assigning of an author or translator could be an act of humility or homage on the part of the true author. Ancient writers, we are told, credited their teacher, for example, or some other worthy person rather than take credit themselves. It was all quite innocent and "in that culture" they were not bothered by questions of authorship or copyright. The Chinese bibliographers show that at least some Chinese Buddhist monks did not think this way at all. They were very much concerned with authorship, authenticity and the accurate attribution of texts to authors and translators. They went to a lot of trouble to distinguish authentic translations from inauthentic, and codified different levels of authenticity. It was often the bibliographers who added attributions to anonymous texts based on their research. On the other hand, Robert Buswell has argued that, in the wider Chinese culture of the time, the concerns of the bibliographers were not always shared by other Buddhists. Texts identified by Bibliographers as fake, such as The Awakening of Faith in the Mahāyāna and the Pseudo-Śūraṃgama Sūtra remained in popular use (on the former see Lai 1975 and the latter see Benn 2009). Creating a Chinese language digest text for a Chinese audience would not have raised any eyebrows. It was a common practice, though going out of fashion by the beginning of the Tang (in 618) as genuine Buddhist texts began to flood into China. It is a stretch to accept the attempt to pass off a digest as an authentic sutra as quite so innocent. Some digest texts and outright fakes were passed off and were only identified much later, often after modern methods of scholarship emerged. I can find no other case where a Sanskrit text was produced for the purposes of legitimising a Chinese apocryphon. The Chinese Xīnjīng was already in a rather grey area when, late in the 7th Century, someone produced a Sanskrit translation of it and managed to convince the experts that it was an Indian "original" of which the Xīnjīng is a translation by Xuanzang. And this before Xuanzang was even dead. In an environment in which Buddhism was taught and practiced through the medium of Chinese (hence the importance of translations), and only a handful of people could read Sanskrit, the Sanskrit text served only one purpose; i.e., to make a text of doubtful authenticity seem completely authentic. This seems to go beyond what might be put down as humility or piety by the author. Someone set out to deceive us as to the origins of this text. Far from being an Indian original, the Sanskrit Prajñāpāramitāhṛdaya is a deliberate and knowing forgery. The forgery succeeded spectacularly, producing what must be one of the longest running hoaxes in history. By the end of the 7th century the Xīnjīng was incorporated into the Chinese Canon as a translation of an authentic Sanskrit sūtra produced in India. By the eighth century it was joined by the Damingzhoujing, the Amoghavajra transliteration of the Sanskrit text (T256), and two more translations that were from the Sanskrit (T252, T253). More would follow along with the longer version of the text, which possibly was produced in India. The existence of the Sanskrit text blinded everyone to the true history of the Heart Sutra, including the Indian commentators. Not only is the true history of the Heart Sutra emerging for the first time, but some hard truths about the transmission of Buddhism are coming out also. The romantic ideal of disciples writing down the wise words of the master and transmitting high-fidelity copies of these to far off places is clearly bunk. When cultures assimilate Buddhism, they are not passive. They actively shape the form that Buddhism takes in their society. Buddhism is literally whatever Buddhists say it is. The Fengshan Stele, dated 661 CE, already attributes the "translation" of the Xīnjīng to Xuanzang. Thus we know that the plot was hatched during Xuanzang's lifetime, but it is very difficult to know what involvement he might have had. Certainly, had he been the translator (of the Sanskrit) we'd have expected him to do a better job of it and to own it. By 660 he was in failing health and he spent the last three years of his life in seclusion with a team translating the Prajñāpāramitā texts that he'd brought from India. 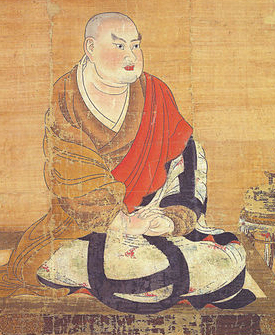 Scholars will often reference Xuanzang's strong connection with Prajñāpāramitā, but, in fact, they were the last texts that he translated. His main concern was with texts directly related to Yogācāra. There is still a lot more painstaking, detailed, forensic examination of relevant material to be conducted and I can only hope that my amateur efforts will stimulate the professionals to come back and look again at the neglected Heart Sutra. We may never be able to establish who pulled off the initial hoax. At the moment, I think it is likely that the forger worked alone since no word of it ever leaked. They managed to deflect attention away from themselves - no one claims responsibility for "finding" the Sanskrit text, for example. The forger had to be a member of the small circle of Chinese monks educated in Sanskrit, but also someone with the authority to pass off a counterfeit manuscript without causing suspicion. The text had to have been physically forged as well and in such a way as other experts were not suspicious. Very few monks of the day would have dealt directly with Indian manuscripts. Perhaps 60 monks were part of Xuanzang's inner circle of translators and most of their names are lost. Woncheuk, Huili, and Dàoxuān were around at the time, but they seem to have alibis. One suspect stands out as having the means and the opportunity, i.e., Kuījī, Xuanzang's chief student and successor. However, it is not at all clear what the forger's motivation might have been. Obviously someone wanted us to believe that the Heart Sutra is authentic, but what is gained by this? What does anyone stand to gain by convincing people that the Heart Sutra was composed in India when there are any number of genuine Indian Buddhist texts available, in multiple translations. Identifying the underlying motive for the forgery will be an important step in the process of identifying the culprit. This, then, is the true history of the Heart Sutra, or at least as close to it as I have been able to get. Lest it be seen as a wholesale denunciation of the text I will finish by suggesting some reasons that the Heart Sutra should continue to valued by Buddhists. When Jan Nattier suggested, with a good deal more politesse than I would have, that the Heart Sutra was a Chinese apocryphon, it caused a minor stir. A few Japanese scholars got angry and soon produced refutations that bring to mind the hysterical response of historians to Wu Zetian. Western Scholars mostly decided to stay out of it. Both Matthew Orsborn and Dan Lusthaus suggested that there might be minor flaws in Nattier's argument (I disagree, but have also suggested my own very minor corrections). That said, Orsborn, then writing as Huifeng (2014), was the first scholar to publish work which took on Nattier's approach and extended it. And by doing so he transformed our understanding of the text. When I appeared on the scene, in 2015 (having started working on the Heart Sutra in 2012), I began by showing that Edward Conze had made errors in editing, translating, and explaining the text. Over the next few years I also explored the evolution of the Heart Sutra and extended Nattier and Orsborn's work on understanding and translating the Chinese text. I've now written more than 40 essays on aspects of the Heart Sutra, and my 5th peer-reviewed article has just been accepted for publication (No.6 is almost finished, and no. 7 will be a formal write up of these notes). All going to plan, a book will follow. I am as qualified as any person, living or dead, to comment on this text. We now know that the received tradition of the history of the Heart Sutra is bunk. We also know that the standard mystical approaches to the text, the Theosophy inspired gnosticism, are very wide of the mark. Suzuki and Conze might have understood Zen, but they did not understand the Heart Sutra or the long-dead Prajñāpāramitā tradition. Where does all this leave the text? When Orsborn showed that aprāptitvād "from a state of nonattainment" was, in fact, a mistranslation of a Chinese phrase and ought to have been anupalambhayogena "through the exercise of nonapprehension", he also noted that his discovery shifted the reading from the usual metaphysics and mysticism towards a more realist epistemology. In fact, his discovery is key to understanding the Heart Sutra as a Prajñāpāramitā text and to understanding the Prajñāpāramitā literature as a whole. I have also argued for such an approach, showing that we can read the Heart Sutra using Sue Hamilton's hermeneutic of experience (2017b). My colleague Satyadhana has highlighted connections with Pāli suttas and meditations in the formless spheres (arūpa-āyatanā). Although I have made small original contributions, my work on the Heart Sutra is largely corrective and synthesises the contributions of Nattier, Osborn, Satyadhana, and Hamilton. In this view the text does have magical elements, but it is primarily a perspective on a kind of Buddhist practice that involves withdrawing attention from sense experiences so that one does not apprehend (upa√labh) them. The practice of nonapprehension (anupalambha-yoga) of dharmas is central to the Prajñāpāramitā. Just such a practice of withdrawing attention from sense experience is outlined in the Majjhima-Nikāya (MN 121) and so this material is relevant for early Buddhism enthusiasts as well. By withdrawing attention from sense experience, using meditative techniques, we can bring sense experience to a halt without losing consciousness. In the ensuing state, the processes which give rise to experience (i.e., the skandhas) are not apprehended. Nor are the objects of the senses. This state feels like being in infinite space. If we also withdraw attention from cognitive experience, then we cease to apprehend thoughts and it feels like infinite consciousness. Through several more refinements that are more difficult to explain, one ends up in the state of emptiness in which there is only a kind of base awareness; one is conscious, but not of anything. Subject and object do not arise. Self does not arise. No dharmas arise in this state. And this is what the Heart Sutra is describing. That is to say, the Heart Sutra does not deny the existence of dharmas, but notes that in emptiness (śūnyatāyām) no dharmas register in the awareness of the practitioner. And we can say that having been in that state (tathā-gata) one's whole world is changed. The idea that the Heart Sutra is about negation or non-existence is simply wrong. Despite the fact that negation is at the heart of a lot of Mahāyāna rhetoric, it has nothing to do with the anupalambha-yoga. Far from being profound, the ontological reading of the Heart Sutra is facile. It ends in paradox, and no, that is not a good thing. Paradox in this case represents a level of unhelpful confusion that pervades Buddhist ideology. We have to set aside Nāgārajuna if we ever hope to understand Prajñāpāramitā, because he has disappeared down a metaphysical cul de sac. The Heart Sutra epitomises the Buddhist project to extinguish sense experience and cognition, but it also reminds us of the credulity of religious Buddhists and the superficiality of most Buddhist philosophy. And this strongly suggests that what Buddhists believe is nowhere near as relevant to success with Buddhist practices as Buddhists say it is. Right-view is something that emerges from the experience of emptiness, it seems to make no contribution to having the experience. And in this sense, meditation is an equal opportunity practice: it requires no intellectual skill, no philosophy, no education, and no ability to think clearly. It only requires an ability to first direct attention and then withdraw attention. Fundamentally, Buddhism asks us to orient ourselves away from the kamaloka, to turn away from sense experience as a means to life satisfaction. The Heart Sutra draws mainly on a tradition of attempts to communicate from the ārupaloka. This is not some metaphysical absolute. It is not a paramārtha-satya or ultimate truth. Emptiness is not some alternative reality. It is experiential, though perhaps not in any way that someone intoxicated with sense experience can appreciate. In conclusion, then, the Heart Sutra is not what we were told it is, but it is exactly what we wish it to be. It is not an Indian, Sanskrit text. It is not a genuine sutra. It is a patchwork of pericopes, stitched together by a 7th Century Chinese monk. However, it does contain an accurate depiction of what we often call the farther shore, the cessation of sensory experience and cognitive experience that results in the radical reorganisation of our psyche away from self-centredness. Benn, James A. (2008). 'Another Look at the Pseudo-Śūraṃgama sūtra'. Harvard Journal of Asiatic Studies, 68(1), 57-89. Buswell, Robert E. (1990). 'Introduction: Prolegomenon to the Study of Buddhist Apocryphal Scriptures.' in Robert E. Buswell (ed). Chinese Buddhist Apocrypha. University of Hawai'i Press, p. 1-30. Eisenberg, Andrew. (2012). Emperor Gaozong, the Rise of Wu Zetian, and factional politics in the Early Tang. Tang Studies 30, 45-69. Kyoko Tokuno. (1990). 'The Evaluation of Indigenous Scriptures in Chinese Buddhist Bibliographical Catalogues' in Chinese Buddhist Apocrypha, edited by Robert E Buswell. University of Hawai'i Press, 31-74. 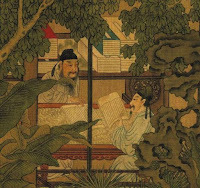 In this essay, the first of three instalments aimed at revising the history of the Heart Sutra, I will focus on the early medieval Chinese tradition of bibliography up to the Tang Dynasty. In particular, I will show that bibliographers saw what appears to be the Heart Sutra as one of a class of non-authentic texts known as a "digest texts". I note that the view of the Heart Sutra dramatically changed during the Tang. In Part II, I will make some salient points about the early history of the Tang. I will examine how early commentators saw the texts and how, slightly later, bibliographies contributed to the myth of the Heart Sutra. In Part III, I will assess the information presented in Parts I and II. I will sketch out three alternative scenarios and show that only one of them fits all of the facts. It will also argue that, despite the apparent fraud involved in its inception, the Heart Sutra still has value as an epitome of formless sphere (arūpa-āyatana) meditations and an epistemic approach to emptiness. Sēngyòu (僧祐 445–518) was the senior Buddhist monk in the Southern Liang Dynasty, during the reign of Emperor Wu (梁). In 515 CE, Sēngyòu completed his catalogue of scriptures held in the imperial library, entitled 《出三藏記集》Chūsānzàng jìjí Collection of Records about the Production of the Tripiṭaka (T2145). Unfortunately, Wu was not satisfied with it and immediately commissioned Sēngshào (僧紹) to make another one, which was completed in 518. Even this catalogue did not suffice, and another was produced by Bǎochàng (寳唱) in 521, which Emperor Wu adopted as the official catalogue of the dynasty. This said, it is Sēngyòu's catalogue, the Chūsānzàng jìjí, that was historically influential and survived down to the present. This was because of the way that he tackled a long-running problem for Chinese Buddhism. Buddhist Texts had been arriving in China since the 2nd century, sometimes in ones and twos and sometimes in larger batches. At first, they mostly arrived in the memories of Buddhist monks, with few written texts. The texts were not part of a systematic, organised collection like the Pāli Canon. Rather, they were a selection of sūtra, vinaya, abhidharma, avadana, and dhāraṇī texts, mixed with commentaries (upadeśa, bhāṣya) and treatises (śāstra). Many had no recorded translator and no information about their provenance. The situation was complicated by two Chinese developments, which began very early on in the transmission of Buddhism. One was the production of fake texts (偽經). Some modern scholars prefer to hedge this term with faux neutrality: "indigenous productions", "apocryphal texts", etc. But the bibliographers thought of them as 偽 "fabricated, artificial; falsified, feigned, sham, counterfeit, forgery, deception" (Kroll 2015: 473). Some of the fakes were openly signed by the author, so presented less of the problem in terms of identifying and classifying them. Others were intended to be passed off as Chinese translations of an Indic source text. These were sometimes difficult to spot and several remain in the modern Canon. Dozens of such fakes were in circulation in China by the 6th Century. This was alarming on two levels. Firstly, they often mixed in elements of popular Chinese culture of the day, especially Daoist mysticism, and were perceived as diluting and/or corrupting Buddhism. Secondly, having fakes in circulation undermined the project to convert China to Buddhism. Buddhism was seen as a foreign religion and as such inferior to Daoism and, especially, Confucianism. If Buddhism was just bastardised Daoism, then they had no need of it. The second development was the 抄經 or digest text. According to Sēngyòu, “digests were produced by Chinese people who cut the existing translations into pieces and arranged them to their liking.” (Storch 2014: 64). 抄 has been translated several ways, i.e., "digest", "extract", and "condensed", but I like "digest" because of the easy allusion to the Reader's Digest Condensed Books (my grandfather was a subscriber). The 抄經 were the Reader's Digest of their day. We might also think of them as mashups. They served several purposes. For example, they often served as an overview or introduction to the main themes of a larger text, pulling out the essential points from long, abstruse texts that would have been daunting to read had they been well translated (and often the pioneering translations were problematic). Or they were a source of edifying sentiments. They might even be used for magical purposes, for warding-off ill-fortune or for securing a better rebirth. Sometimes the attraction was simply that they were short. However, digests or mashups could easily distort the message of the text or of Buddhism, so were distinguished from genuine texts. These digest texts were far more common than fake texts. Sēngyòu's catalogue lists 2,162 texts in total. Of these 20 or about 1% were counted as outright fakes. Of the anonymous texts, 450 were digest sutras. That's about 20% of all the Buddhist texts in circulation in 515 CE. Bibliographers undertook to deal with the problem of authenticity. They proposed criteria by which texts could be evaluated and categories reflecting different levels of confidence. Sēngyòu's catalogue was not merely descriptive, but also prescriptive and proscriptive. In her study of Sēngyòu's catalogue, Tanya Storch (2014) boils his fifteen categories down to five. Unquestionably authentic texts, with a title, a connection to India, and translated by a respected translator. Sēngyòu's attitude towards the digest texts was tinged with hostility. They served a purpose, but many went too far and distorted the original (Storch 2014: 64). That said, Sēngyòu was generous by comparison with latter-day bibliographers, most of whom classed digest sutras as fakes. The first wholesale systematic translations of Buddhist texts were only completed in the late 4th to early 5th Centuries, by the Kuchan monk, Kumārajīva, and a large team of Chinese monks. This enabled more systematic study of the texts and fostered efforts to categorise them. Kyoko Tokuno (1990) points out that while all this high-level scholarship and categorisation work was going on, a digest which summarised the content of a long abstruse text was a valuable tool. However, once the Chinese Canon began to take shape, in the 6th and 7th Centuries, such digests could be dispensed with and, on the whole, they were. In 594 another Bibliographer, Fǎjīng 法經 (i.e., Dharmasūtra), complains that Sēngyòu was too lax in his treatment of digests. Rather than listing some digests with anonymous sutras, Fǎjīng and his colleagues shunted them all into a distinct category. The point is that digests were common by the 6th Century, widely recognised for what they were, and treated differently than authentic sutras by Chinese bibliographers. And this demarcation became increasingly strict after Sēngyòu's time. The Japanese scholar, Fukui Fumimasa (1987: cited in Nattier 1992: 175), was the first modern scholar to suggest that the Heart Sutra was not, in fact, a sutra. He argued that, in the titles of texts, the term 心 "heart" (Skt hṛdaya, citta) was interchangeable with terms for dhāraṇī such as 咒 and 陀羅尼; therefore, the title 心經 should be translated as Dhāraṇī Scripture. Jan Nattier found this argument "quite convincing". Although Nattier (1992) and Tanahashi (2014) both cite portions of Fukui's argument, the full version has only appeared in Japanese to date and I have not had a chance to assess his overall argument. Dhāraṇī is certainly a plausible reading. However, I think Nattier herself points to a better answer, although she doesn't adopt it. "In sum, the statements of both Kuījī and Woncheuk indicate that at least some Buddhists, already in the 7th Century CE, considered the Heart Sutra to be, not a separate sermon preached by the Buddha, but an extract made by certain "sages who transmitted the Dharma" from the Large Sutra of Kumārajīva" (1992: 207 n.33). The wording used by Woncheuk is 簡 "selected, gleaned" from 諸般若 "various Prajñā(pāramitā sūtras)" (T 33.543.b.18). Kuījī talks about the Heart Sutra being "separately produced" (別出) (T 33.524.a. 8-9, 26-7). Kuījī seems to mean is that it is not part of the prajñāpāramitā collection (總). He is apparently referring to the Mahāprajñāpāramitā-sūtra T220, translated 660-663, by Xuanzang, et al. However, Alan Sponberg points out (in an unpublished translation referenced by Nattier) that he refers to the sutra being "produced" (出) rather than "preached by the Buddha." And this explains why it does not have the introduction or conclusion expected of a sutra. In other words, both Kuījī and Woncheuk did not think of the Heart Sutra as an authentic Indian sutra; they both saw it as a digest text. Secondly, Nattier cites a private communication from Robert Buswell (1992: 210 n.48) who proposed to Nattier that the Heart Sutra might be an example of a ch'ao-ching or "condensed sūtra". Though Nattier's article does not supply the Chinese characters for the Wade-Giles romanisation, they are in fact 抄經, which I am translating as "digest sutra". In 1990, Buswell had edited a volume called Chinese Buddhist Apocrypha in which there was an article by Kyoko Tokuno on how Chinese bibliographers dealt with fake sutras and digests. The next section reviews this evidence, but we can already say that the Heart Sutra perfectly fits the description of a digest. It is composed of various extracts from the Dajing by Kumārajīva (T223). The Dajing is a long and abstruse text (its commentary more so), and in some ways, the Xīnjīng does epitomise the content of it. The redactor has altered the text a little to incorporate Avalokiteśvara which, though it has given some modern exegetes paroxysms, was probably unremarkable at the time: Guanshiyin was simply the best known and loved bodhisatva, why would he not appear? The Heart Sutra is a Chinese digest of the Dajing. It was one of hundreds of such texts that circulated in China, though with decreasing frequency as the mature canon emerged. Importantly, this was no secret as leading exegetes of the Tang Dynasty recognised it. And, as we shall see in the next section, this was how Chinese Bibliographers saw the text as well. One of the ways that writers have referenced the authenticity of the Heart Sutra is to mention that it occurs in various catalogues. However, these references inevitably treat the catalogues as homogeneous and descriptive. As we have seen, the bibliographers took an active approach: both prescriptive and proscriptive. Thus any reference to the catalogues should consider which category any given bibliographer puts the Heart Sutra. I will now do this (for the first time as far as I know). 摩訶般若波羅蜜神呪一卷 = Móhēbōrěbōluómì shénzhòu in one scroll. 般若波羅蜜神呪一卷(異本) = Bōrěbōluómì shénzhòu in one scroll (different version). Sēngyòu's annotation, 異本 "different version", suggests that these are versions of the same text. Unfortunately, neither survives, so we have no idea of the content of either, just the titles. The two texts are not named as 經 "sutra" but shénzhòu (神呪), literally "divine spell", but perhaps meaning "incantation". The term might be interpreted at this point in history as vidyā (See Attwood 2017a). The two shénzhòu texts are listed under the heading: 失譯 "lost translator" (i.e., anonymous). As we have already seen, this meant that Sēngyòu was suspicious of them. Later catalogues attribute them to translators Zhīqiān (支謙) and Kumārajīva, respectively. However, as Nattier says these attributions "are clearly after the fact and can be easily discounted" (1992: 183). Nattier further suggests that the practice of using 般若波羅蜜 to transliterate prajñāpāramitā was introduced by Kumārajīva in 404 CE and so placing them in Dàoān's catalogue seems anachronistic. However, 般若波羅蜜 is used throughout T224, the earliest translation of the Aṣṭasāhasrikā-prajñāpāramitā sūtra by *Lokakṣema, ca. 179 CE, so it would not have been out of place in 374. The reference point of Kumārajīva is still important because all of the extant Heart Sutras in Chinese are excerpts from his Dajing. This is beyond any doubt and thus any reference to the Heart Sutra before 404 CE, when that translation was completed, is problematic. Since Dàoān was writing in 374 CE we have a problem. Below, I will show that there are at least two different ways to resolve this problem. In any case, what needs to be emphasised is that if the first references to the Heart Sutra are in this 515 catalogue, then they are listed in it as having no translator. Dàoān seems to only have listed texts he had to hand, so it seems very likely that the shénzhòu texts existed in 374 CE. What Sēngyòu was looking for in an authentic sutra (in 515 CE) was a definite connection to India, a famous translator, elegant expressions, and integral rather than digested content. What we have in the Heart Sutra, if it is the Heart Sutra, is an anonymous digest with no obvious connection to India. The 《大隋眾經目錄》 or Dà Suí Catalogue (T2146) compiled in 594 by Fǎjīng also lists titles 《 摩訶般若波羅蜜神呪經》 and 《般若波羅蜜神呪經》 (T 55.123.b.22-3) under the heading of Mahāyāna texts "produced separately" (別生). As Tokuno notes, this category was invented by Fǎjīng to contain the digest sutras. He considered them inauthentic in the sense that they were mere digests of genuine texts, but not actually fake in the sense of original compositions. Note the similarity to Kuījī's term "separately produced" (別出): produced, not preached. In this catalogue, 197 sutras are listed as fake, so there has been a dramatic rise in the number of them. Another point here is that Fǎjīng has added the word 經 sūtra to the titles of the shénzhòu texts. Even so, we can say that Fǎjīng follows Sēngyòu in treating these titles as separate from authentic sutras. Note that Fǎjīng used the phrase 神呪經 36 times and there are about the same number of 呪經's as well. The 《歷代三寳記》 Records of the Three Treasuries Throughout Successive Dynasties, compiled by Fèi Chángfáng (費長房 ) in 597 CE (T2034), is not listed with other catalogues in Taishō Vol. 55 but with histories in Vol. 49. Fèi Chángfáng's approach to digests and fakes was somewhat different to other bibliographers in that he lists texts in chronological order of when they were translated, and he treats very few texts as being inauthentic. He has come to be known for controversially attributing texts to translators without foundation (Tokuno 1990: 44-45). His approach seems to have been to "minimize the number of scriptures of questionable pedigree" in order to "enhance the credibility of the textual basis of Buddhism" (Tokuno 1990: 46). Fèi Chángfáng lists the 《般若波羅蜜神呪經》 with an annotation (T 49.55.c.1). Unfortunately, the annotation has many variations in different versions of the Canon. The Taishō editors opted for 或無經字 "perhaps not a sutra". One variant is 異本 "different source" while the Song (宋) edition combines these, i.e., 異本或無經字 "different source or perhaps not a sutra". The title is listed under 譯經後漢 "Sutras translated after the Han Dynasty". Despite this and Fèi Chángfáng's tendency to see sutras as genuine, has his doubts about this one. When Fèi Chángfáng notes "different source" he may be thinking of his entry 《摩訶般若波羅蜜呪經》*Mahāprajñāpāramitā-vidyā-sūtra (T 49.58.b.9), listed under 譯經魏吳 "Sutras Translated During Wei (魏) and Wu (吳). Along with Shu (蜀), these two kingdoms made up the Three Kingdoms Period (220-280). Fèi Chángfáng's annotation here is "See the Catalogue of Bǎochàng" which is unfortunately no longer extant, despite (as mentioned above) being selected by Emperor Wu of Liang as his official catalogue; the annotation continues "or just say 般若波羅蜜呪經". In other words, he probably has neither text to hand and is unsure whether the two titles represent two distinct texts or variant titles for one text. It's not clear on what basis he has separated them when others have always listed them together. The defect of the Dà Suí Catalogue was that did not differentiate between extant and non-extant texts, but preserved entries in previous catalogues even where no copy of the sutra could be found. Therefore, a new catalogue was commissioned by Sui Emperor Wen. A group of experts, led by the Yàncóng (彥琮), completed the highly influential 《內典文全集》 Complete collection of Buddhist scriptures (T2147) in 602 CE. Yàncóng was a skilled and systematic translator and an expert on Prajñāpāramitā. Yàncóng's catalogue again lists 《摩訶般若波羅蜜神呪經》 and 《般若波羅蜜神呪經》 (T 55.162.a.24-5) suggesting that they were extant texts in 602. They are placed under the heading 大乘別生 or Mahāyāna Produced Separately, i.e. digests of Mahāyāna sutras. And, again, they are kept separate from the authentic sutras. Although there are eight titles with the phrase 心經, none of them appears to be the Heart Sutra. If we accept that the shénzhòu texts are the Heart Sutra, then we must also note that pre-Tang Dynasty bibliographers were almost unanimous in treating the texts digests as anonymous and produced separately (i.e., digests). In other words, they did not understand these texts to be authentic sutras. The only exception is Fèi Chángfáng, and even he is doubtful. So, if we take this road, then we already have proof that the text was not an authentic sutra produced in India. We need not make special arguments about the Sanskrit text, except to say that there is no such tradition of making digests in India. The digest sutra is a distinctive feature of China. However, this still leaves the problem that all the extant Heart Sutras quote from the Dajing translation of 404 CE. I will not finally tackle this problem until Part III. At this point, I wish to complete my survey of the early catalogues. We have arrived at the Tang Dynasty and we see the sudden appearance of the title: 《摩訶般若波羅蜜心經》 Mahāprajñāpāramitā-hṛdaya-sūtra, aka the 《心經》 or Xīnjīng. Whereas the Suí Emperors were enthusiastic about Buddhism, the early Tang Emperors, with the exception of Wu Zetian, were not. I'll say more about Wu Zetian in part II. The lack of enthusiasm for Buddhism is reflected in the fact that fewer catalogues of Buddhist scriptures were produced during three centuries of Tang than during the four decades of the Sui. However, the catalogues that were produced were highly influential in the formation and structuring of the Chinese Buddhist Canon and are important in the story of the Heart Sutra. The Tang Dynasty begins in 618 CE, but the first catalogue of Buddhist texts was not produced until ca. 627-650 and it was soon lost, so that nothing much is known about it. It is not until 664 that the, now famous, 《大唐內典錄》or Catalogue of the Inner canon of the Great Tang, aka Nèidiǎn Catalogue, is compiled by Dàoxuān (道宣). 664 is also the year that Xuanzang died and it is well into the period during which Wu Zetian was de facto Emperor. Another catalogue was hastily prepared after Xuanzang's death in 664 to incorporate his new translations (presumably his Prajñāpāramitā translations), but this was largely the same as Yàncóng's catalogue and is otherwise unremarkable. For the history of the Heart Sutra, the Nèidiǎn Catalogue is important because it is the first catalogue to use the now familiar title 《摩訶般若波羅蜜心經》*Mahāprajñāpāramitā-hṛdaya-sutra (Xīnjīng), and it is the first to attribute the text to Xuanzang. One of the first things we notice is that the titles 《摩訶般若波羅蜜神呪經》 and 《般若波羅蜜神呪經》 have disappeared from view. They were mentioned as digest sutras in the Yàncóng catalogue of 602, which excluded non-extant texts, so we presume they existed then. Now, they are not mentioned at all. Instead, we find the well known Xīnjīng. It is a subtle point, but note also that it is not the Heart of Prajñāpāramitā (i.e., not a general summary of Prajñāpāramitā) but the Heart of the Mahāprajñāpāramitā(-sutra). As we have seen, Kuījī took this to be a reference to Xuanzang's massive anthology of Prajñāpāramitā texts, but this was also the title of Kumārajīva's Dajing translation (from which the Heart Sutra was extracted). The Nèidiǎn Catalogue is organised around ten divisions. We expect a digest sutra to be in Section 7: 歷代諸經支流陳化錄 "A record of scriptures throughout successive dynasties that appeared as a result of rearrangement through the process of independent circulation." (cf. Storch 2014: 133). But the text does not appear here. Instead, it occurs with the bone fide sutras in sections 1-4. Notably, section 3 is a list of texts to be included in a Buddhist Canon (having eliminated fakes, and so on) and section 4 lists "the most important scriptures". So this Heart Sutra is not only authentic, but has a high status amidst authentic sutras. Can this really be the same text? The difference here is that all these texts are extant and can study and compare them. I've done this, tracing passages like "the epithets" or "form is emptiness" from the Heart Sutra to each one, via the Dàjīng. The Xiǎojīng was always considered to be authentic and was plausibly attributed to known translators, even though it was thought by Chinese translators to be a redaction of the Dàjīng (they did not yet see the process of expansion that is obvious to us in retrospect). Somehow, in the years since 602, the digest has become a sutra, changed its name, and entered the Chinese Canon of authentic texts with a bullet. At least this is what most scholars of the Heart Sutra would have us believe. The trouble is that we can plainly see that the Heart Sutra is a digest. And we know that the Tang Dynasty commentators knew this and wrote about it. We also know that, whatever did happen, it had to have happened by 661 CE, because we have the Fangshan stele, which records 三藏法師玄奘奉　詔譯 "Translated by Traipiṭaka Dharma-master Xuanzang, by imperial decree." (see The Earliest Dated Heart Sutra Revisited, 22 June 2018), and this after he went into seclusion to finally translate the Prajñāpāramitā texts he'd brought with him, that had sat unlooked at for 15 years while he focussed on his priorities. One alternative story would be that sometime after 602, but before 661, a brand new digest was redacted from Kumārajīva's Dajing, but including some minor modifications reflecting translation conventions introduced by Xuanzang (the most celebrated translator of the day). This new text was passed off as a translation by Xuanzang. While this story is still quite implausible at face value, it has the advantage of not being at odds with all the known facts and the opinions of ancient scholars who, on the whole, seemed to know their business quite well. So the question now is, what happened in those 59 years? I will begin to try to answer this question in the next installment by looking at the historical context. Satyadhana. (2014) 'The Shorter Discourse on Emptiness (Cūḷasuññatasutta, Majjhima-nikāya 121): translation and commentary.' Western Buddhist Review, 6, 78-104 .